St Louis Orthopedic Surgeon Sports Medicine Orthopedics | Ryan T. Pitts M.D. St Louis Orthopedic Surgeon St Louis Sports Medicine Ryan T. Pitts M.D. St. Louis Orthopedic Surgeon Ryan T. Pitts M.D. is a fellowship-trained Orthopedic Surgeon practicing general Orthopedic Surgery in the St Louis area. His practice emphasizes non-operative and operative care of all patients suffering sports and athletic-related injuries, as well as caring for patients with chronic conditions such as arthritis, rotator cuff tears, meniscus tears, and a multitude of other common Orthopedic Surgery conditions. Dr. Pitts approach is a conservative one, with a priority for optimizing your function and treating your pain without surgery first if possible, only turning to the latest minimally invasive surgical techniques when nonsurgical options have failed. 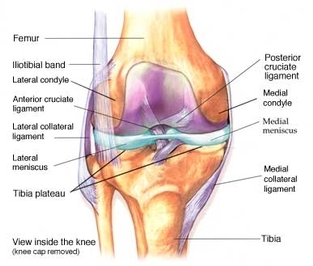 If you have sustained a sports related injury such as an ACL tear, Meniscus tear, rotator cuff tear or tear of the shoulder or hip labrum you need an Orthopedic Surgeon who is fellowship trained in Sports Medicine and the latest arthroscopic surgery techniques. Dr. Pitts completed a fellowship in Sports Medicine and arthroscopic surgery at Washington University in St Louis. During his fellowship Dr. Pitts worked with the St Louis Rams of the NFL, the St Louis Blues of the NHL, and the Washington University athletic program where he served as assistant team physician for the Bear athletes. In addition, during his residency training at the prestigious Mayo Clinic he was involved in the care of local high school athletes while being exposed to state of the art joint preservation and reconstruction techniques for a variety of Orthopedic Surgery diagnosis. Dr. Pitts graduated from the University of Missouri - Columbia and Saint Louis University School of Medicine with the highest honors and grew up nearby in northern Missouri. Having worked with high school, college, and professional athletes as well as recreational athletes of all ages, St Louis Orthopedic Surgeon Ryan T. Pitts M.D. is prepared to handle your St Louis Orthopedic Surgery and Sports Medicine needs in a compassionate and professional manner, utilizing the most up to date, minimally invasive, and evidence-based techniques. St. Louis Orthopedic Surgeon Ryan T. Pitts is a former three sport athlete in high school and has personal experience with injury while playing football in college. Ryan T. Pitts M.D. understands first-hand the impact that an orthopedic injury can have, and Dr. Pitts' goal is to return you to functioning at the highest level as soon as possible so you can get back on your feet and back on the field. St. Louis Orthopedic Surgeon Dr. Ryan T. Pitts also sees injured workers and Worker's Compensation cases involving the shoulder, elbow, hip, and knee and will provide high quality care and state of the art techniques to get injured workers back to their pre-injury level of function as fast possible. Dr. Pitts is a member of the Metropolitan Orthopedics St. Louis Orthopedics team. Metropolitan Orthopedic consists of five physicians practicing in Missouri and Illinois. The Metropolitan Orthopedic team has over 100 years of combined experience. For Physician information and office locations go to Metropolitan Orthopedics. Call Sports Medicine trained Orthopedic Surgeon Ryan T. Pitts M.D. at 314-432-2323 to schedule an appointment or for more information. Metropolitan Orthopedics accepts most major insurance plans and appointments are available within 24-48 hours in most cases. If you need an Orthopedic Surgeon in the St. Louis area, call Metropolitan Orthopedics and let Dr. Pitts and his team get you back to your activities as soon as possible. Affton, Allenton, Ballwin, Bella Villa, Bellefontaine Neighbors, Bellerive, Bel-Nor, Bel-Ridge, Berkeley, Beverly Hills, Black Jack, Breckenridge Hills, Brentwood, Bridgeton, Calverton Park, Carsonville, Castle Point, Champ, Charlack, Chesterfield, Clarkson Valley, Clayton, Concord, Cool Valley, Country Club Hills, Country Life Acres, Crestwood, Creve Coeur, Crystal Lake Park, Dellwood, Des Peres, Earth City, Edmundson, Ellisville, Eureka, Fenton, Ferguson, Flordell Hills, Florissant, Frontenac, Glasgow Village, Glencoe, Glendale, Glen Echo Park, Grantwood Village, Greendale, Green Park, Grover, Hanley Hills, Hazelwood, Hillsdale, Huntleigh, Jennings, Kinloch, Kirkwood, Ladue, Lakeshire, Lemay, Mackenzie, Manchester, Maplewood, Marlborough, Maryland Heights, Mehlville, Moline Acres, Normandy, Northwoods, Norwood Court, Oakland, Oakville, Olivette, Overland, Pacific, Pagedale, Pasadena Hills, Pasadena Park, Peerless Park, Pine Lawn, Richmond Heights, Riverview, Rock Hill, Sappington, Sherman, Shrewsbury, Spanish Lake, St. Ann, St. George, St. John, Sunset Hills, Sycamore Hills, Times Beach, Town and Country, Twin Oaks, University City, Uplands Park, Valley Park, Velda City, Velda Village Hills, Vinita Park, Vinita Terrace, Warson Woods, Webster Groves, Wellston, Westwood, Wilbur Park, Wildwood, Winchester, Woodson Terrace, Missouri Baptist Hospital, St. Charles County, Franklin County, Jefferson County, St. Louis County, Missouri, Madison County, Illinois, St. Clair County, Illinois, Monroe County, Illinois. Dr. Pitts focuses his practice on St Louis Orthopedics and Sports Medicine. Dr. Ryan T. Pitts practices St Louis Orthopedics in the St Louis area. Designed by Daytona Beach DUI Lawyer.